Thanks to the Freedom of Information Act and this bundle of government documents, I have been able to see how Public Health England engineered the change to the drinking guidelines. Neither PHE nor the Sheffield University modellers come out of it well. If nothing else, it puts the lie to the notion that government-funded research is 'independent'. Read the full story at Spectator Health. It's not pretty but it is important. See also this report in yesterday's Sunday Times. In 1948, the minister for health, Aneurin Bevan, outlined the three guiding principles of the NHS: that it meets the needs of everybody, that it is free at the point of delivery and that it is based on clinical need, not ability to pay. There was no footnote saying ‘…but only if you lead a state-approved lifestyle’. Bevan’s vision for the NHS could not have been clearer and yet a growing number of NHS trusts have been flying the kite of discrimination against smokers and the overweight. Hospital mandarins in North Yorkshire toyed with the idea of refusing surgery to incorrigible smokers and obese people last year. Clinical commissioning groups in Hertfordshire raised it again this week. Both sets of bureaucrats said that they would make an exemption for life-saving surgery, which was nice of them, but if patients are merely suffering from chronic pain, they will have to stop smoking and lose weight. It is true that some operations will be more successful if the patient is slim and doesn’t smoke, although these benefits are not as great as some NHS bosses imply. But the risk is to the individual and it is the individual who is going under the knife. More importantly, it is the individual who has paid for the treatment. The per capita cost of the NHS to every man, woman and child in Britain amounts to £2,000 per annum. If the average citizen had to write a cheque out for this amount every year, we might more fully appreciate the fact that the NHS is not a ‘free’ service that our masters can ration out to us if they approve of our lifestyles. It is an industry. We are the customers and those who work in it are our servants. Too many people at the top of the NHS hierarchy seem to have forgotten this. Increasingly, they see it as a tool of social control. Some years ago, the NHS made a television advert which ended with the slogan ‘If you smoke, you stink’. It is difficult to imagine a private enterprise wilfully insulting a quarter of its clients in such a way. The demonisation of smokers and, more recently, fat people has given the NHS two groups of scapegoats to blame for its own shortcomings. We are routinely told that obesity threatens to bankrupt the NHS. This would be nonsense even if it were possible for the NHS to go bust, which it isn’t. The figures do not add up. Nor do the sums add up for smoking and drinking, neither of which are a ‘burden on the NHS’. Tax revenues from tobacco and alcohol amounted to £24 billion last year, vastly exceeding any associated costs to the health service. If the NHS no longer wishes to treat smokers then it is only fair that they be given a refund, starting with all the tobacco duty they have paid over a lifetime. This alone would be enough for them to afford world class healthcare, with the added bonus that they would no longer have to pay for their own vilification. Bevan understood that there is a basic social contract at the heart of the NHS. Because we are not allowed to opt out of paying for socialised medicine, doctors are not allowed to opt out of giving us it. No taxation without medication. If you’re going to start making patients go without treatment or pay privately just because they did not go everything they could to avoid their ailments, you might as well have a healthcare insurance system. Such systems work well in the rest of Europe and I would not be opposed to borrowing a few ideas from places where health services produce better outcomes. The people who should really be concerned about the move towards NHS rationing are those who want to preserve ‘our NHS’ because they mistakenly believe that it is the envy of the world. Such a fundamentally political project cannot survive without consent. If it is going to start defrauding its customers - what else can you call refusing to deliver a service that has been paid for? - it is bound to lose public support. If we set down this path, there is no obvious end to it. There are thousands of avoidable risk factors for diseases, accidents and injuries. Should we deny treatment to all those who fail to avoid them? Perhaps the NHS should simply adopt a policy of only treating healthy people. After all, if it wasn’t for the patients, the system would work perfectly. ... The outspoken libertarian expressed his belief that politicians weren’t really concerned about the existence of the traditional British pub, saying if they were “genuinely committed” to the continued existence of the pub trade “they could and should halve alcohol duty and amend the smoking ban” and permit landlords to have one smoking room. On my way home, I stopped at a People's Pub, which used to be a Wetherspoon before the Great Nationalisation. -"A pint of People's, please." But the respected beer writer Phil Mellows has now made the case in earnest in Jacobin. ...Sometimes only the state is big and bold enough to save an industry. Given its record of success, it is long past time for the nationalization of pubs to return to the political agenda. It may sound far-fetched — but so, at one time, did Prime Minister Jeremy Corbyn. The government certainly has experience in running loss-making industries. Thanks to the policies of successive governments, the pub trade is on the brink of becoming one of these. Needless to say, I do not think that nationalisation is the answer. It would not address the industry's underlying problems and would lead to people who don't go to pubs having to subsidise those who do. Industries come and go as people's tastes change, but there is nothing natural about the way demand for pubs has fallen in the last ten years. As I said in Closing Time, the industry has been crippled with high taxes and excessive regulation. Pubs do not need to be treated as charity cases. They do not need even more regulation and they certainly do not need state ownership. They just need to be given what the Australians call a fair go. The Welsh Assembly formally announced its plan to put a minimum price on alcohol yesterday. A figure of 50p per unit was bandied around by the media but that has not been decided. Depending on what Scotland does, I suspect that it could be 60p (which is what the 'public health' racket have been demanding since 2009). Either way, the minimum price will go up and up. We have been hearing the usual lies about how minimum pricing will have little effect on moderate drinkers. This is based - as always - on fantasy modelling from the Sheffield Alcohol Research Group who define a moderate drinker as someone who drinks 5.5 units a week (they do this by including all the light and occasional drinkers and then averaging out their reported intake - which is less than they actually drink anyway). Figures in the BBC report show how implausible is the claim that only heavy drinkers will be affected. The majority of off-trade alcohol will become more expensive under a 50p unit. So let's debunk the myth that minimum pricing will only affect the very cheapest, super-strong alcohol. It will affect most of us while effectively exempting the rich. If the policy is introduced in Wales, the prices will be noticeably higher than in England and a booming cross-border trade is inevitable. Perhaps the Welsh will blame the English when the policy is seen to fail. 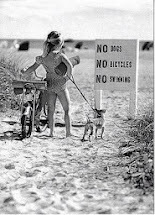 There is still the small matter of EU law to get around first. The UK supreme court is expected to deliver its verdict by the end of the year. The BBC's (anonymous) reporter revealed his or her bias in this now-deleted paragraph.. However, if all goes well, ministers in Wales hope it would become law by summer 2018. However, I was extremely surprised when I found out that this 'neutral' policy analyst was none other than Colin Angus of the Sheffield Alcohol Research Group who is personally and professionally invested in minimum pricing and has been advocating for the policy for the best part of a decade. He is, to all intents and purposes, an activist. If you want to see how 'neutral' he is, here's a reminder of the time he started howling at the moon when the charity Prostate Cancer UK refused to believe some junk science from Tim Stockwell. 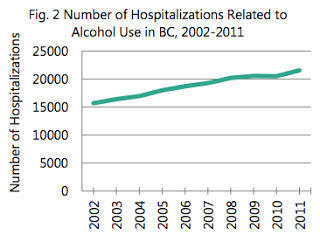 Aside from a brief video clip of an ex-alcoholic saying that minimum pricing would have had no effect of him, there was nobody to challenge Angus and so he was free to make the entirely false claim that minimum pricing in Canada led to a fall in alcohol-related deaths and hospital admissions (an easily debunked myth that can be traced back to Stockwell again). You can see his performance here but if you want to hear an actual debate about the policy, you can listen to me and someone from Alcohol Concern on BBC Wales yesterday here (from 37 minutes). Anti-Brexit campaigner Jolyon Maugham has been getting thousands of retweets with what he claims are secret government forecasts of what will happen if Britain leaves the EU without a deal and has to 'fall back' on WTO rules. Maugham doesn't provide a link to the 'major newspaper' but the document he is talking about is probably the one referred to by the Independent and others back in March. Maugham has said that the document was produced 'shortly before the referendum'. It is almost certainly an early draft of the Treasury's notorious 'Project Fear' report that was published 18 months ago and is available online to anyone who wants to read it. The Treasury also predicted an immediate recession if Britain voted to Leave. Obviously that didn't happen and the National Audit Office has admitted that some of the Treasury's assumptions were wrong. That doesn't make the rest of their predictions wrong, but it gives pause for thought. So is it possible to get people excited about some predictions made 18 months ago when some of them have already been shown to be wrong? If your audience is one of diehard Remainers, the answer is yes, of course. Any scrap is hungrily devoured if it makes it look like as if the UK cannot become a normal, self-governing country. Maugham's big 'headline' from his secret document is that every household will be £5,200 poorer under WTO rules. The net impact on receipts would be £20 billion a year in the central case of the EEA, £36 billion a year in the case of the negotiated bilateral agreement, and £45 billion a year in the case of the WTO. Relying solely on the WTO rules would result in a significant reduction in the openness of the UK economy to the outside world. It would be the alternative with the most negative long-term impact. WTO membership would amount to a significant closing of the UK’s access to global markets and would likely see the introduction of a much broader range of tariff and non-tariff barriers. What other scoops has Maugham got for us? In 2014 for dairy products these tariffs averaged 36% with a very broad range of duties applied. This is significant because the EU accounted for 61% of UK agri-food exports in 2014, with EU member states accounting for 7 of the UK’s top 8 agricultural export markets. This is discussed at greater length in the published report, particularly on pages 92 and 93, with the same conclusion. Woah! Not exactly the Rosetta Stone, is it? It's kind of sad to see so many people getting hot and bothered about what is, at best, a shorter draft of a publicly available document. The idea that the Treasury had misgivings about leaving the EU but buried them in a secret report is ludicrous. The Treasury quite obviously wanted to remain and it published a 200 page report explaining why. So the Report dates to before the Referendum. Why weren't we told! I guess this is the information the #remainers failed to tell us about. They ran a pathetic campaign & so a lotta people voted OUT. The evidence that taxing sugary drinks has any effect on obesity is - to put it mildly - poor. The great success story is supposed to be Mexico but we now know that per capita consumption of sugary drinks was essentially the same after that tax was introduced (in 2014) as it was before. The other success story is supposed to be Berkeley, California, where sugary drink sales fell by 9.6 per cent after a soda tax was introduced in March 2015. But as I mentioned last week, you only have to read the study to see what really happened. Sales fell by 0.8 fluid ounces per transaction in Berkeley but they rose by 0.7 fluid ounces per transaction in neighbouring areas. People simply went out of town to do their shopping. Since the quantities of sugary drinks consumed didn't change after the soda taxes were introduced in Mexico and Berkeley, it is inconceivable that they could have any effect on obesity. The authors of the Berkeley study (who include soda tax fanatic Barry Popkin) admitted that there was no statistically significant change in calorie intake from sugary drinks and that 'caloric intake of untaxed beverages (milk and other diary-based [sic] beverages) increased.' Yes, that's right: calorie consumption increased. Jamie knows a thing or two about losing sales. He's been closing restaurants left, right and centre this year. However, the study looks at soft drink sales per customer so should not be affected by the general decline of Oliver's businesses. So what's the story? A study of the effects of the levy, published in the Journal of Epidemiology & Community Health, has found that sales of sugar-sweetened drinks such as colas and lemonades fell by 11% in the first 12 weeks. At the end of six months, sales were 9.3% lower than they had been before the levy was introduced. The price elasticity of sugary drinks is generally though to be around 0.8-1.2, meaning that a 10 per cent increase in price leads to a fall in demand of roughly 10 per cent. Jamie Oliver's drinks are so expensive - at £2.60 to £3.25 - that a 10p 'tax' only increases the price by 3.5 per cent. A decline in sales of 9.3 per cent as a result of a 3.5 per cent price rise is implausible. It would imply a price elasticity of about 3.0, ie. three times higher than has been observed elsewhere. Prof Steven Cummins of the department of social and environmental health research at the London School of Hygiene and Tropical Medicine, who carried out the study, acknowledged that the clientele of Oliver’s restaurants tended to be affluent, and that the price hike on a drink costing between £2.60 and £3.25 might not make a lot of difference to them. “I don’t think the financial element of it is a massive disincentive,” he said. But he likened it to the plastic bag charge, which prompts people to think about having one. It's worth remembering that Jamie introduced his 'tax' after presenting a ridiculous documentary on Channel 4 that portrayed sugary drinks as something akin to asbestos. This is likely to have had an effect on the kind of morons who admire the man and go to his restaurants. By the same token, it is likely that people who enjoy sugary drinks and don't want to be lectured by a fat-tongued Essex pea-brain would have been less likely to go to his restaurants after Oliver got on his high horse. In other words, the people who visited his poxy restaurants after he introduced this gimmick were not necessarily the same people who visited before. The drop in sales at six months of 9.3% was only in the restaurants that previously had higher levels of sales of sweetened drinks. There was a general drop in sales on non-alcoholic beverages, except for fruit juices, which went up. This is an important point. The most interesting thing about sugary drinks taxes is seeing what substitution effects take place. The Guardian doesn't give the figures, but the study says that there was a 22 per cent rise in the sale of fruit juice (which has about the same amount of sugar as a fizzy drink), although fruit juice orders from the children's menu fell. Sales of off-menu mixers went up slightly, but sales of diet cola and bottled water went down (by 6-7 per cent). In fact, the sale of nearly every type of drink went down. It is not clear what, if anything, people were switching to. The authors don't have figures for alcohol sales for some reason, but the rise in the sale of mixers suggests that the sale of spirits may have increased. Alternatively, people could have switched to tap water. Either way, it left Oliver out of pocket. He [Cummins] said he thought the effect was “entirely transferable” to other less expensive chains. “There is no reason why other restaurants couldn’t do exactly the same,” he said. Actually, there is a very good reason. Drink sales are an important revenue stream for restaurants and Oliver seems to have lost them overall. It speaks volumes about 'public health' researchers that Cummins doesn't think this would play a part in a restaurateur's planning. “The menu was redesigned: it explained that the proceeds of the levy would go to the Children’s Health Fund, new drink products were introduced, and Jamie himself appeared in a television programme about sugar. So we certainly can’t be sure that the fall in consumption of sugary drinks was entirely, or even mainly, caused by the extra 10p. “The researchers do provide some circumstantial evidence that the 10p played a role in the reduction in consumption, but they (rightly) make it clear that a study like this can’t prove what caused what. 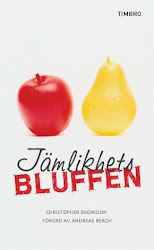 Actually, it doesn’t even establish that any of the specific changes at Jamie’s Italian restaurants had anything to do with the lower consumption – for instance, the researchers had no data from any other restaurants, and maybe consumption fell there as well"
“It’s interesting that, in this study, the consumption of fruit juice from the children’s menu fell as well – indeed it fell by rather more than the consumption of the sugar-sweetened drinks, while consumption of fruit juice from the main menu went up. Maybe the numbers of children going to the restaurants changed, relative to the numbers of adults – the researchers couldn’t tell because they had no data on whether customers were adults or children. Maybe things would have been clearer if they had had data over a full year after the change, rather than just from September to February. Back in May, I wondered why Phillip Blond had suddenly taken an interest in fixed odds betting terminals. It now transpires that his think tank, Respublica, had been commissioned by the Campaign for Fairer Gambling to write a report about them. It was published today and you won't be surprised to hear that it supports Derek Webb's longstanding goal to reduce the stakes to an unplayable £2. The latest available research has found that the number of problem gamblers has surged – from 280,000 in 2012 to 430,000 in 2015. Respublica provide two references for this: a Gambling Commission report about England and Scotland with statistics from 2012 and a Gambling Commission report about England, Scotland and Wales with statistics from 2015. Respublica don't mention the fact that the latter report has an extra four million people in it (three million people live in Wales, plus UK population growth of around one million). In fact, they explicitly claim that both reports only look at England and Scotland. They then claim that there was a rising in problem gambling in these three years 'of over 50 per cent'. The confidence interval for the DSM-IV estimate was 0.3%–0.7%, for the PGSI estimate 0.2%–0.6% and for either screen 0.4%–0.9%. The confidence interval for the DSM-IV estimate was 0.5% to 1.0%, for the PGSI estimate 0.4% to 0.9% and for either screen 0.6 % to 1.1%. The figures from 2015 are higher, but there is not a statistically significant difference. All these estimates tell us is that there is a 95% probability that the real figure lies somewhere between the confidence intervals. Even a naive reading of the stats does not imply a 50 per cent increase, however, and the Gambling Commission's most recent (absolute) number is 320,000 people, not 430,000 people. There was not a significant increase between 2012 and 2015, just as there was not a significant decline between 2010 and 2015. Every problem gambling survey since 1999 has been consistent with the hypothesis that problem gambling prevalence has held steady at around 0.7%. As I have said before, you can only pretend that there is a trend if you cherry-pick your reports and ignore the confidence intervals. That's why rates of problem gambling have appeared to be doubling and doubling in the last decade, if you believe the media, without the number of problem gamblers ever getting larger. In total about 1.5 million people play the machines, collectively losing more than £1.7 billion last year, almost £12,000 each on average. £1.7 billion divided by 1.5 million people is £1,133, not £12,000. The Times is out by a factor of ten. The behavioural economist Richard Thaler won the Nobel Prize this week. I was on the Moral Maze with Thaler back in 2010 and it was obvious that we were the only two people out of the eight on the show who had read his book. This wouldn't have mattered except that the show was all about nudging and Thaler had to listen to his ideas being totally misrepresented. I remember him saying to one panellist, 'you could not be wronger'. To state the obvious: a BAN is not a NUDGE. The opposite in fact. So don't blame Bloomberg's ban on large soda cups on us. Some libertarians find nudging a bit sinister but most of them have never read the book either. 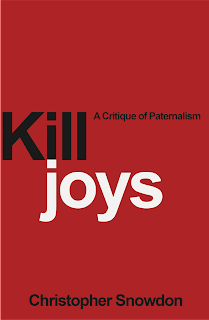 Personally, I have always thought that libertarian paternalism was much more libertarian than paternalistic. The main criticism of nudging is not that it is authoritarianism but that it is quite trivial. In practice, there are not many problems that can be solved by nudging, particularly by government. I've written about this in my forthcoming book, Killjoys, which will be published on November 10th and I've given CapX an excerpt which you can read here. I'll say more about the book in a future post but here's the cover. In what is undoubtedly the feelgood story of the week, officials in Cook County, Illinois overwhelmingly voted to repeal their hated soda tax after just two months. Cook County is the home of Chicago, America's third largest city, so this is kind of a big deal, even if the UK media chooses to ignore it. I've written about it here for Spectator Health, so do pop over and read my article, but let's take a moment here to savour the defeat of that evil old fossil Michael Bloomberg who has been bankrolling soda tax campaigns all around America (and beyond). He's not short of money but even a billionaire must smart from pouring millions of dollars down the drain, as he has in Chicago. In 2016, Bloomberg handed over $1 million for ads to build support for the tax, and then donated another $2 million in August 2017. In September, Bloomberg funnelled in another $3 million to the pro-tax cause. And two weeks ago, in an extraordinary act of hubris, he handed out a $2.5 million grant to some 'public health' researchers at the University of Illinois to study the effects of the tax. "I don't need some Gotham City billionaire telling me how to live my life in Cook County," Robert Ellis says, talking about Bloomberg. Funny as this all is, Bloomberg could be using his fortune to do some good in the world and heal the sick, but he chooses to spend it on campaigns to make fizzy drinks a bit more expensive which are a waste of time whether they succeed or not. At best, they will fail and we can have a good laugh at him. At worst, they succeed and the cost of living goes up. Meanwhile, there are important medical services that could spend the money usefully. Anyway, do read my Spectator piece. In 2014, a third of men and women in the US were obese (34%). By 2025 that is predicted to be 41%. More than three quarters of American adults will be overweight by 2015, a survey has found. A further 41 per cent will be obese if people continue to gain weight at the current rate, according to the study by Johns Hopkins University. Still, I'm sure they'll be right this time, eh? I mean it's not as if the obesity rate is falling in America or anything, is it? Oh. How about Britain? What do the ball-gazing experts of the World Obesity Federation reckon will happen here? In the UK, more than a quarter of adults (27%) were obese in 2014 and that will rise to 34% by 2025. The extrapolation of current trends, which underpins the microsimulation, indicates that, by 2015, 36% of males and 28% of females will be obese. By 2025, these figures are estimated to rise to 47% and 36% respectively. As I have said before, I will happily take a bet with anybody that these predictions do not come true, which is to say that the real rate will be lower than the forecast. It always is because these 'microsimulations' are not serious attempts to plan for the future. They are quack statistics made up by spivs to draw attention to special interests (in this instance, it's World Obesity Day tomorrow). Obesity forecasts are among the most useless trash in the whole 'public health' racket. Any journalists who give them credence should be ashamed of themselves. The Financial Times published an interview with Derek Webb recently. Webb is the multi-millionaire inventor of Three Card Poker who has put a small fortune into the Campaign for Fairer Gambling, an organisation he formed to attack fixed-odds betting terminals in betting shops. I'm told that he expressed a similar intention to go after the internet next at the Conservative conference last week. Webb's growing addiction to attacking non-casino gambling sectors will come as no surprise to students of the slippery slope, but few people seem to understand just what a whirlwind of destruction he is unleashing. Webb wants to reduce the stake on FOBTs to £2, knowing that this will make the machines unplayable for most punters. This will likely mean the end of FOBTs in bookies in Britain. And that will mean the end of many bookies. FOBTs contribute around half of the average betting shop's revenue. They have no way of making that money from sports betting, which has largely gone online. If they lose half their revenue, there will be thousands of closures. The Association of British Bookmakers says 92 per cent of betting shops are at risk. Nobody knows how many, but it is not unlikely that most would go. And that has severe repercussions for the horse-racing industry. Under a system set up in the 1960s, horse-racing gets 10.75 per cent of the profits from bets placed on races in bookmakers. This amounts to a subsidy of £60 million per annum but it will be much less if bookmakers go out of business. If FOBTs go, bookmakers’ shops will go, and racing will lose out. The government has recently extended the levy to online betting, but online operators do not necessarily pay tax in Britain (to put it mildly) and it remains to be seen how many people bet on horse-racing without betting shops acting as its high street shop window. Horse-racing has been in decline for decades. This could be the final nail in the coffin for some racecourses. But it doesn't end there. If FOBTs go, the government will lose £400 million per annum in gambling revenue. To claw it back, the Chancellor is reported to be looking at taxing casinos more. Formal proposals to be circulated among senior ministers to increase taxes on casinos, sources say. That would put casinos under added financial pressure to go alongside all their other problems (as with FOBTs, casinos can't pass the costs onto customers via their table games because the odds are fixed). And now Webb is going to go after online gambling too! From top to bottom, Britain's gambling industry is going to suffer more from one millionaire with a bee in his bonnet than from all the religious campaigners and moral guardians put together. Ten years ago today, George Monbiot wrote an article for the Guardian titled 'In this age of diamond saucepans, only a recession makes sense'. Columnists don't write their own headlines, but when he reproduced it on his own website, Monbiot gave it an even less ambiguous title: 'Bring on the recession'. Three weeks earlier, Lehman Brothers had filed for bankruptcy and there had been a run on the Northern Rock bank. These were the early rumblings of a financial crisis that would engulf most of the world in 2008. The British economy went into recession in the second quarter of 2008 and remained there until mid-2009. 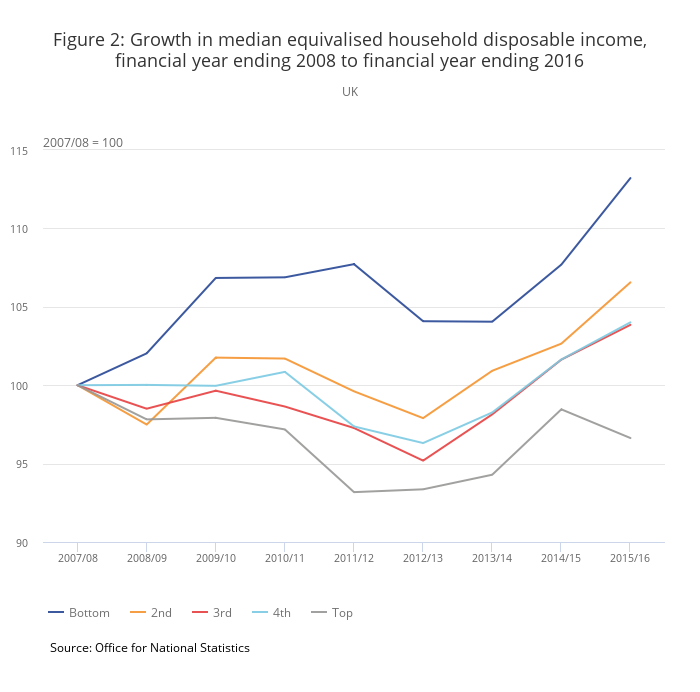 As the graph below shows, it took until 2014/15 for GDP and median incomes to return to pre-crash levels. 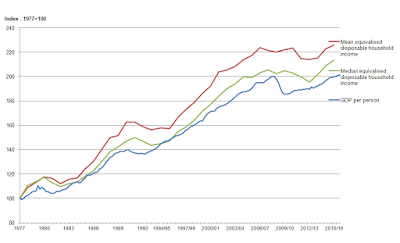 Median wages have still not caught up. None of this pain could be felt in 2007 after more than a decade of uninterrupted economic growth. For miserablists at the Guardian, it was growth that was the problem. Sneering at people's desire to own 'stuff' and wanting the market economy to be replaced by a vaguely defined 'sustainable' and 'steady-state' (ie. zero growth) system was a standard, flat-pack anti-capitalist opinion at the time (see chapters 4 and 7 of Selfishness, Greed and Capitalism). The massive improvements in human welfare - better housing, better nutrition, better sanitation and better medicine - over the past 200 years are the result of economic growth and the learning, spending, innovation and political empowerment it has permitted. But at some point, he argues, the costs must exceed the benefits. And he says that point is now (ie. 2007). Surely the rational policy for the governments of the rich world is now to keep growth rates as close to zero as possible? But why was 2007 the logical place to stop, as opposed to 1997 or 1957 or 1907? If carbon emissions are the real issue, the optimum point at which to stop was some time in the nineteenth century, but that would require a dramatic fall in living standards. Monbiot does not want to go that far. He just wants to settle for the living standards of 2007 and sacrifice future gains. This, I would suggest, is because existing living standards are tangible and we would feel their loss whereas we cannot feel, or even necessarily imagine, the benefits of future economic progress. Could Monbiot really be confident that the balance had been tipped by 2007? At any stage in the last 150 years you can find people saying that people are rich enough and that the job of government is to redistribute the wealth that exists rather than encourage people to create more. With the benefit of hindsight even the likes of the anti-growth New Economics Foundation would struggle to argue that they were right. One of the themes of JK Galbraith's The Affluent Society (1959) was that people do not really need to have such extravagances as wall-to-wall carpets, televisions and vacuum cleaners. He claimed that the desire to own such frivolous goods was magicked into them by advertisers. 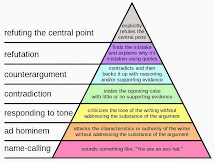 A lot of people, particularly on the left, agree with Galbriath's analysis but you will never hear them use his particular examples. Nobody outside the lunatic fringe would claim today that a vacuum cleaner was a luxury, or call for economic growth to be wound back to the point at which wall-to-wall carpeting is unaffordable. Their desire to stop progress now rather than wind the clock back is a tacit acknowledgement that people's lives would be made worse if progress had stopped a few years earlier. It also reveals a lack of imagination and/or optimism about what the future has in store. Writing in the 1950s, Galbraith would not have been able to imagine a thing called The Internet, and yet access to high speed broadband is now on the verge of becoming a legal right. Galbraith would have thought nothing about wearing leather shoes, whereas Adam Smith - writing in the 1770s - remarked that neither leather shoes nor linen shirts were 'strictly speaking' necessities and were only considered essential for even the 'poorest creditable person' as a result of 'custom'. If ordinary people are able to take for granted goods and services that had once been the preserve of the wealthy, most people would see this as a good thing (as Adam Smith did). But for the miserablists, it is a sign that everybody is rich by historical standards, therefore we can stop bothering with the whole capitalism thing. I now live in one of the poorest places in Britain [rural Wales - CJS]. The teenagers here have expensive haircuts, fashionable clothes and mobile phones. Most of those who are old enough have cars, which they drive incessantly and write off every few weeks. Their fuel bills must be astronomical. They have been liberated from the horrible poverty that their grandparents suffered, and this is something we should celebrate and must never forget. But with one major exception [which is housing, as Monbiot later explains - CJS], can anyone argue that the basic needs of everyone in the rich nations cannot now be met? This is an argument that you would usually associate with right-wing conservatives: 'Don't talk to me about poverty! They've all got widescreen televisions!' It is not an argument we've heard much in the Guardian in the last ten years, even from Monbiot, and that is not because the poor have got poorer. 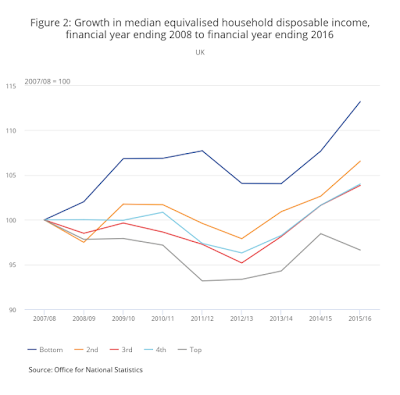 As the graph from the ONS shows, the incomes of the bottom fifth of households has risen by 13 per cent (in real terms) since 2007. If people's 'basic needs' were being met in 2007, they are being met today. I am not sure whether Monbiot still wants to 'keep growth rates as close to zero as possible' but if he does, he must be happy with the way the last ten years have panned out. We hasn't quite seen zero growth, but it has been very close to it. Far too close, I would say. What a miserable decade it's been. We have seen stagnant productivity, a fall in real wages and a trivial amount of economic growth (all of which are connected). Meanwhile, the government has managed to borrow £1.3 trillion pounds (and counting) with no obvious means of paying it back. Perhaps there are fewer boy-racers on the streets of Wales as a result. Perhaps there are not as many jet skis to ruin George Monbiot's day trips. Perhaps carbon emissions are slightly lower than they would have been. But what a price to pay. Thereafter, journalists began agonising over every 0.1 per cent of GDP growth and lamenting the government's failure to get the economy moving at full throttle. This is how the cycle works - when the economy is bust, we are too poor, and when the economy is booming, we are too rich. We will only know for sure that the economy is back on its feet when Monbiot is calling for another recession. I don't really agree with this. Drug use can be a health issue but the vast majority of people who take drugs do not harm their health and do not become addicted. As far as I'm concerned, drug use is an issue of personal liberty. It would be better if governments viewed it as a health issue rather than a criminal one because they would then decriminalise or legalise drugs, but I don't think drugs are a health issue per se and they are certainly not a 'public health' issue. The term 'public health' has been greatly distorted in the last 30 years and is now applied to any issue that can affect the health of more than one person. If defined properly, however, it refers to health risks which require collective action to safeguard individuals. People can be exposed to contagious diseases without their knowledge or consent. They can be exposed to industrial pollution without their consent. That is what makes them public health issues. An infectious disease like HIV/AIDS is therefore a public health issue. So guess what the loony state of California has done now? Even by the standards of the West Coast, this is insane. And guess what the justification for it is? “Today California took a major step toward treating HIV as a public health issue, instead of treating people living with HIV as criminals,” Wiener said in a statement. It feels as if the state government has taken the well-worn line about why we should treat drug users as victims rather than criminals and applied it to the issue of people deliberately infecting other people with a serious infectious disease. Mr Wiener is quite wrong to say that the existing law treats 'people living with HIV as criminals'. It does not. It treats people living with HIV who do this sort of thing as criminals. Wiener is a dangerous imbecile and his justification is idiotic. He might as well have said that legalising asbestos was the 'first step toward treating mesothelioma as a public health issue'. This is a state where you can be fined for smoking in a park, but the government wants to be more tolerant of people who knowingly donate HIV-positive blood to blood banks. It was always a safe bet that California would be the place where 'public health' went completely round the bend, but who would have imagined in their wildest nightmares that the moment would come when they decided to make it easier for people to spread AIDS? Still, if you're in California and you get infected with HIV while having a blood transfusion, take comfort from the fact that it's all part of treating HIV as a 'public health issue'. The Global Alcohol Policy Alliance (GAPA) has been having its conference in Australia this week. You may recall that GAPA is the latest incarnation of the gospel temperance movement which has found a way to gorge itself on taxpayers' money by integrating with the 'public health' racket. If you look at the conference programme you will see that this is just the tip of the iceberg. There is a vast number of sessions and a huge number of speakers from around the world, including our very own Colin Shevills (from the Balance Northeast sockpuppet), Katherine Brown (UK Temperance Alliance masquerading as the Institute of Alcohol Studies), Jeff Collin (UKTCAS), John Holmes (University of Sheffield) and Ian Gilmore (Alcohol Health Alliance). You won't be surprised to hear that none of the sessions appear to discuss any social, economic or health benefits associated with alcohol. Fair enough, you might say. It is a temperance conference, after all. But two things stick in the craw about this jamboree. Firstly, that taxpayers are being forced to pay for it. When GAPA came to Scotland in 2015, it was the taxpayer who footed the bill thanks to sponsorship by the NHS and Scottish Government. Nicola Sturgeon gave a keynote speech and the organisers paid tribute to her 'political courage'. It is difficult to find the words to describe this nauseating, tax-sponging echo chamber. This year, the sponsors include the Australian Department of Health, the Alcohol and Drug Foundation, NOFASD, the Public Health Association of Australia and the Foundation for Alcohol Research and Education (FARE), all of which are funded by the Australian taxpayer. For example, FARE was set up by the government with a $115 million grant (!) and spends 50% of its income on 'policy and advocacy', 15% on 'leading change', 6% on 'defending the public interest' and 5% on 'working together'. In other words, it is a state-funded political pressure group. Other sponsors include the World Health Organisation (taxpayer funded), SHORE (funded by the WHO) and the International Order of Good Templars (funded by the EU). In fact, I can see only one sponsor that probably isn't funded by the state in some way. It's bad enough that ordinary people have to pay for these fanatics to jet around the world campaigning to make our lives worse. What makes it almost unbearable - and this is the second thing that sticks in the craw - is the delusional vanity of the delegates. For instance, here is Alison Douglas portraying herself as a brave and beleaguered individual fighting The Man. Who is Alison Douglas? She is the CEO of Alcohol Focus Scotland. What is Alcohol Focus Scotland? It is a pressure group that gets most of its income from the Scottish government (£472,000 last year). What is the Scottish government's stance on minimum pricing? It is massively in favour of it. 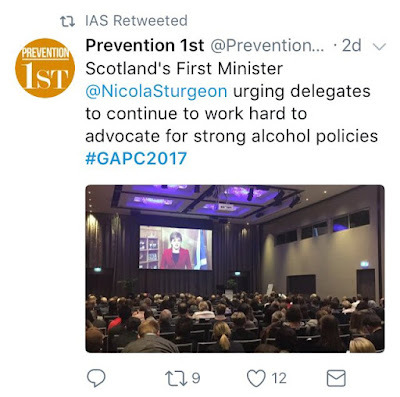 Here is the first minister, Nicola Sturgeon, addressing the Global Alcohol Policy Conference earlier this week, explicitly encouraging her paid sockpuppets to keep up the good work. In what perverse parallel universe can people who are funded and supported by a like-minded government be considered the underdogs? Douglas has been flown out to Australia at the expense of either the British taxpayer or the Australian taxpayer to present herself as some sort of citizen activist. It's a farce. It is ludicrous for these people to present them as anti-establishment. They are the establishment. 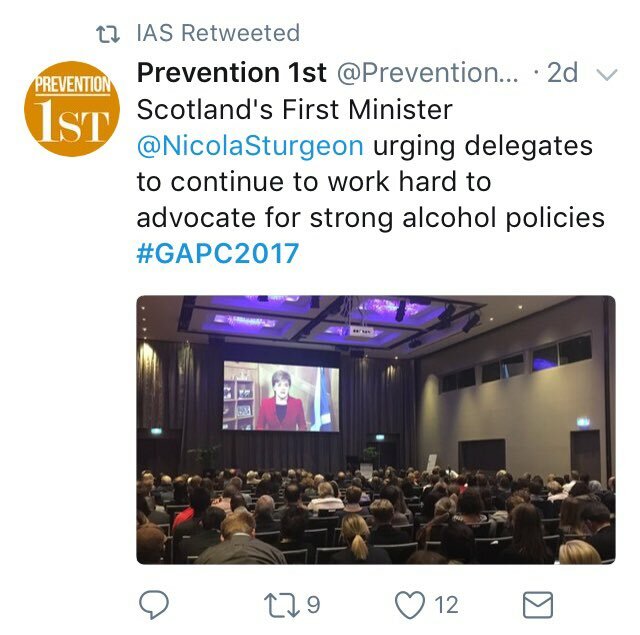 The First Minister is their client and the temperance shindig Douglas is speaking at is, to all intents and purposes, a government conference. And so I ask - not for the first time - why are we being forced to pay for these headbangers to discuss how best to lobby their employers? 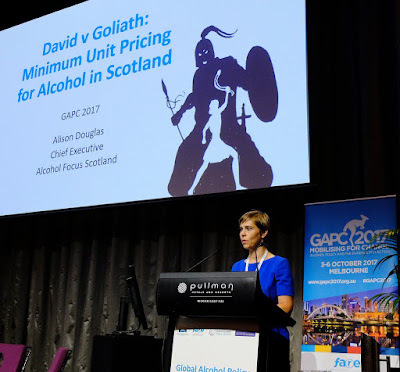 If you want to see how Big Alcohol mimics tobacco-style tactics follow excellent speakers at #GAPC2017. I worked in field for several years. The odd thing was that all the coverage focused on individual states and didn't discuss trends over time. When I looked at the original source from the Robert Wood Johnson Foundation, I saw why. Nowhere does it provide the figure for the whole country. There is a page where you can look at national obesity trends but they only go up to 2013/14 when, we are told, the rate reached 37.9 per cent. This is very high by international standards, but it would be interesting to know what the figures were for 2015 and 2016. Has the obesity rate gone up or down? RWJF will only say that 'Adult obesity rates are showing signs of leveling off' but provide no figures to show what that looks like. In theory, you could work out the whole country's obesity rate by looking at the statewide data and adjusting the figures according to the population of each state. I haven't got time to do that and I doubt anybody else has either. Whatever the real figure for 2016, it seems pretty clear that it is lower than it was in 2013. It could be considerably lower. Half of the states have a rate of less than 30 per cent. Five states have a rate of 25 per cent or less, which makes them less fat than the UK. 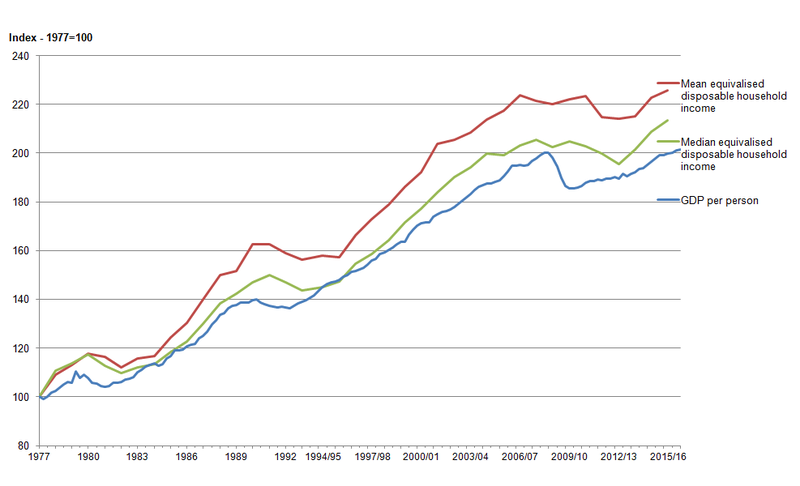 And, for what it's worth, the median (state) average is 29.9 per cent. According to the RWJF report, only five states have an obesity rate of more than 35 per cent - all of them in the South - but the real giveaway is the fact that 'West Virginia has the highest adult obesity rate at 37.7 percent'. If the fattest state has a lower rate of obesity than the whole nation did in 2013, there can be no doubt that US obesity rates are not just 'showing signs of levelling off'. They have gone down. You don't have to be too cynical to suspect that RWJF are deliberately concealing the national figure because they don't want newspapers to print headlines saying 'Obesity rate on the decline'. But it's not as if people are going to think American has 'beaten' obesity just because the rate has gone from being extremely high to very high. Even if it's dropped a bit, it's still going to be higher than anywhere bar Mexico and a few Pacific Islands. It could be a blip, but don't treat us like idiots. Give us the facts. Something is very wrong if 'public health' groups are withholding a piece of evidence because it contains some mildly good news. When the Nanny State Index (which I edit) was published a few months ago, the Czech Republic came at the bottom the league. It is the freest country in the EU for smoking, drinking, vaping and eating food, and this freedom does not seem to do the Czechs any harm. One of the findings from the Index was that there is no correlation between nanny state scores and life expectancy. Despite the Czech Republic's relative lack of lifestyle regulation, its citizens are not noticeably unhealthy; ten out of the 28 EU countries have lower life expectancies. So I was surprised to read last week that the Czechs are not only the unhealthiest people in the EU but are the unhealthiest people in the world. And my flabber was well and truly gasted when I heard that the healthiest country in the world was none other than Afghanistan, with Eritrea, Malawi and Somalia all making it into the top ten. Suspecting that the results had been misreported by the newspapers I looked for the source and was led to a report produced by an organisation called Clinic Compare. And there it was in black and white: 'The Czech Republic was exposed as the most unhealthy country in the world... Residents of Afghanistan were named the healthiest'. What eccentric methodology was used to put the Aghans at the healthiest end of the spectrum and the Czechs at the unhealthiest? It turned out that the report's authors simply assumed that countries with high rates of alcohol consumption, smoking and obesity were sick while those with low rates of alcohol consumption, smoking and obesity were healthy. No other criteria were used. This is the lifestyle theory of medicine turned up to eleven. Never mind hunger and disease. Never mind violence and malnutrition. If a nation doesn't comply with the three tenets of western 'public health' puritanism it is unhealthy per se. And yet if you look at people's actual health, the reality is rather different. Life expectancy in Afghanistan is currently 61 years. In the Czech Republic, it is 79 years. The adult mortality rate in Afghanistan is 260 per 1,000 people. In the Czech Republic, it is 84 per 1,000 people. The infant mortality rate in Afghanistan is 6.6 per cent. In the Czech Republic, it is 0.3 per cent. But alcohol is banned in Afghanistan, very few women smoke, and people are too poor to be fat so it is a 'public health' utopia, right? Similarly, Niger might come second to bottom in the United Nation's Human Development Index but its people are careful to avoid 'lifestyle-related diseases' by dying, on average, twenty years earlier than the people of Luxembourg. Consequently, Niger is the third healthiest country in the world while Luxembourg is the ninth unhealthiest. This is clearly bonkers but it is what happens when you mistake inputs for outcomes. The 'public health' lobby has become obsessed with three modifiable lifestyle factors - alcohol, obesity and tobacco. Unable to see beyond this trio of risk factors for diseases of affluence and old age, there are some who have convinced themselves that they are all that matters. Taken to its logical conclusion, this tunnel-vision leads to bizarre pronouncements, such as when the Director-General of the World Health Organisation visited North Korea and complimented the regime on how few fat people she observed or when Oxfam described Ethiopia as the 'best country' for obesity. Under no reasonable criteria is the Czech Republic the most unhealthy country in the EU, let alone the world. Perhaps it would be if 'public health' dogma was correct, but that says more about the dogma than the country. A more credible input-based ranking system suggests that the Czech Republic is the 30th most healthy country in the world (the UK is 23rd). If we use life expectancy as the sole measure, it comes 35th. Either way, it is comfortably inside the top quartile. In fairness, we cannot blame the 'public health' lobby for this particular piece of misinformation. Clinic Compare is a price comparison website for cosmetic surgery which promises to give customers 'the first step towards a new you'. It may not be the most reliable source of global health statistics, but that did not stop the Evening Standard, the Independent and numerous other global media outlets repeating its nonsense verbatim. It is slightly worrying that none of the journalists who covered the story asked themselves whether it passed the smell test, but so much quackery, garbage and clickbait crosses their desk under the umbrella of 'health news' that it is no surprise if they have become desensistised to piffle.